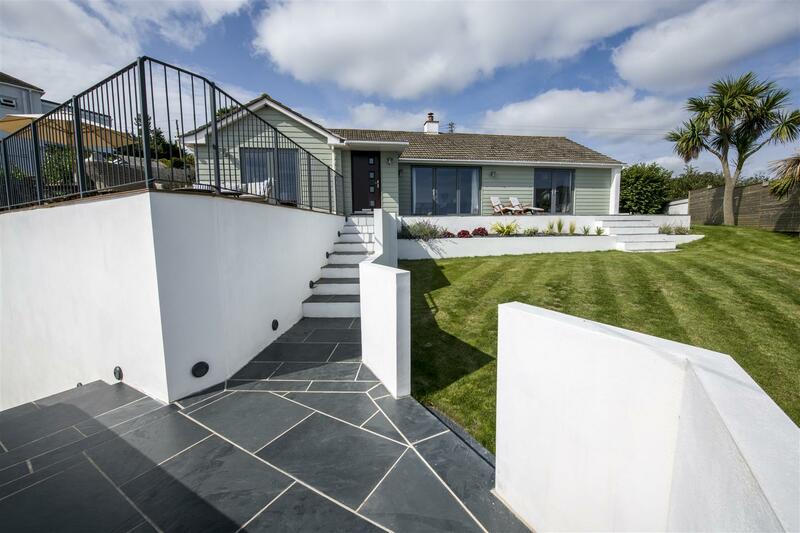 A striking detached contemporary property set in an elevated position, providing wonderful views over the village, the river and to Place Manor in the distance. 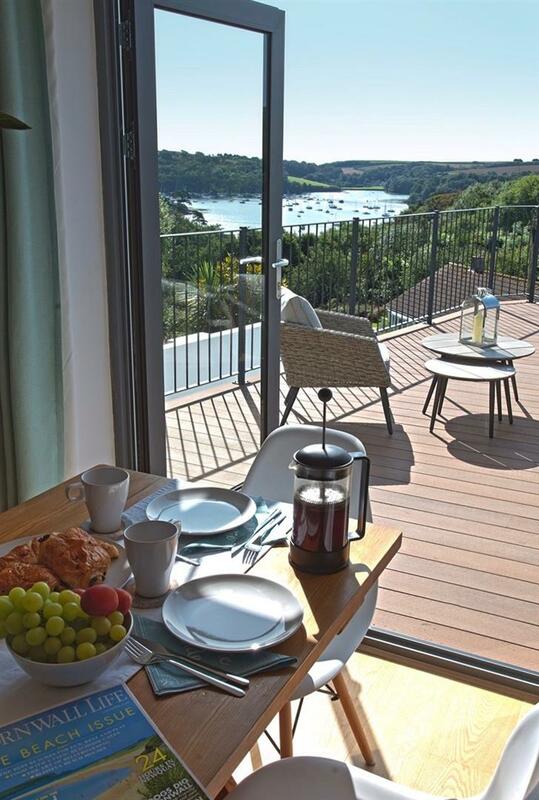 Renovated and updated at great expense by our clients to create a wonderfully chic and stylish get away, its design is centred around the excellent views, with the sitting room opening onto the wraparound deck, via bi-folding doors, making it a very inviting and sociable space. 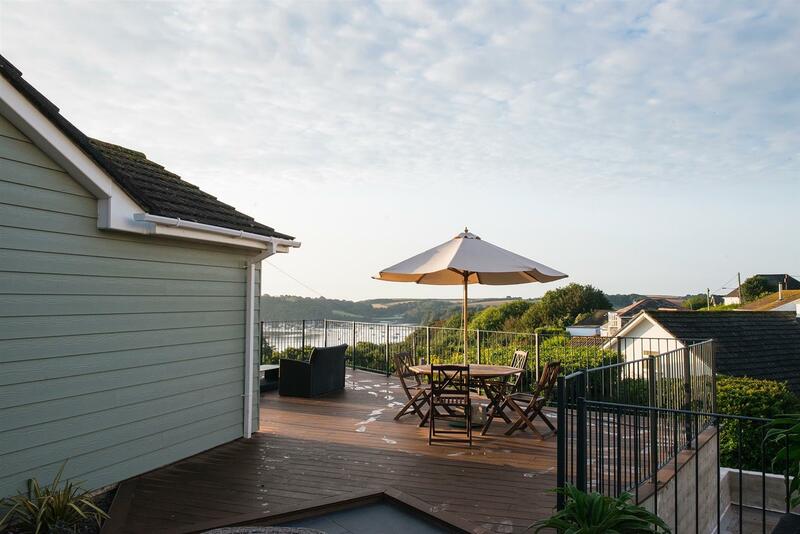 The finish throughout is of a very high standard, with a stylish kitchen, oak flooring and a wonderful master bedroom suite. 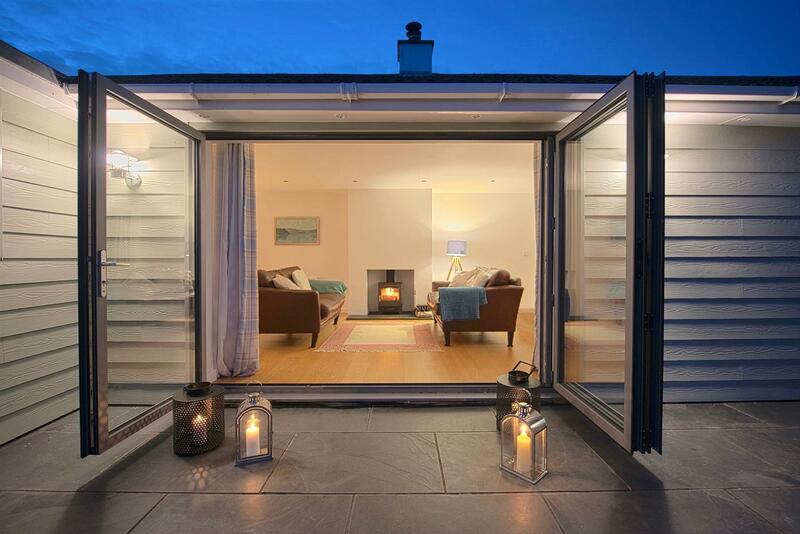 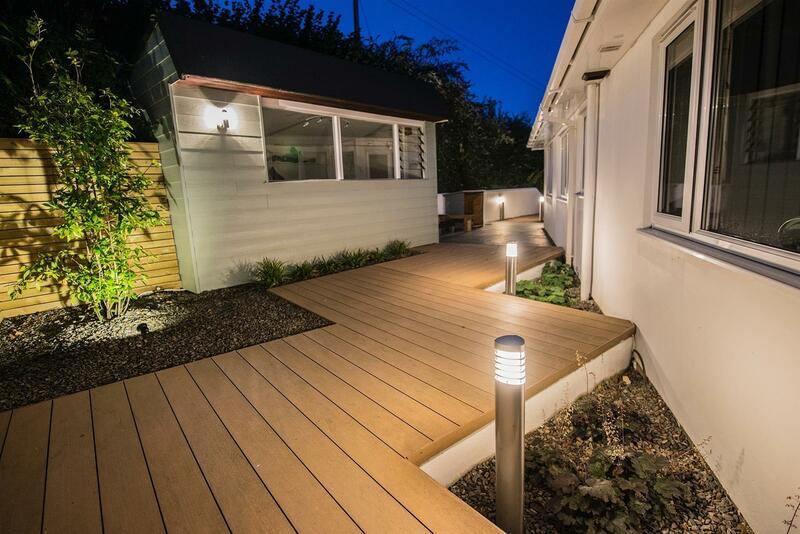 The well designed accommodation offers further potential for expansion, subject to all necessary permissions and consents. 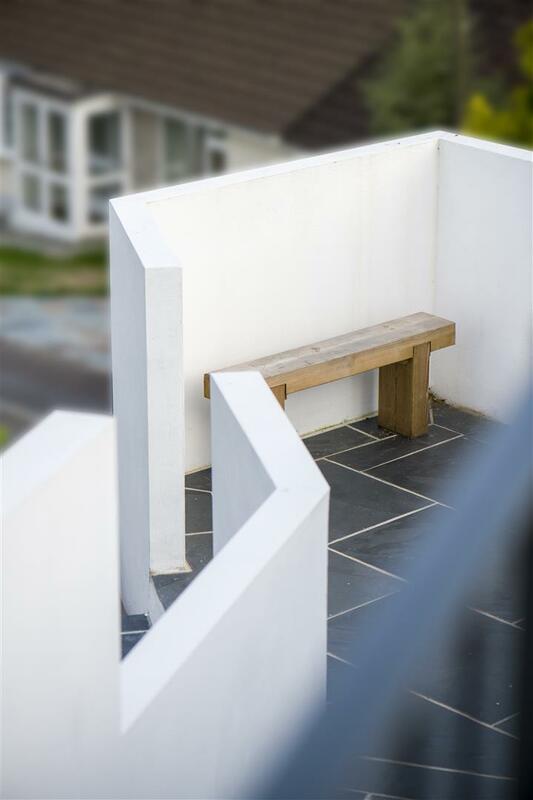 The garden is low maintenance and offers many places in which to sit and relax, whilst soaking up the views. 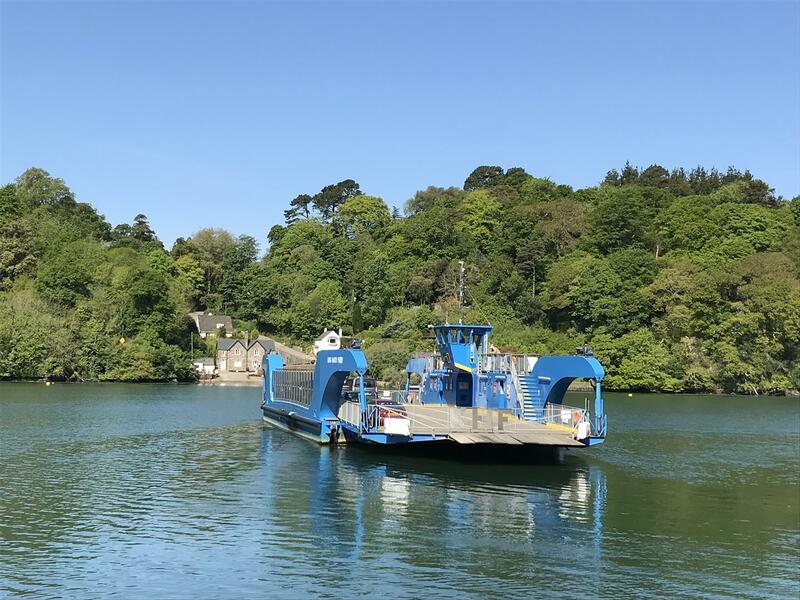 To the rear, the studio offers a space to work from home or as an artist’s studio, or simply somewhere to store boating equipment. 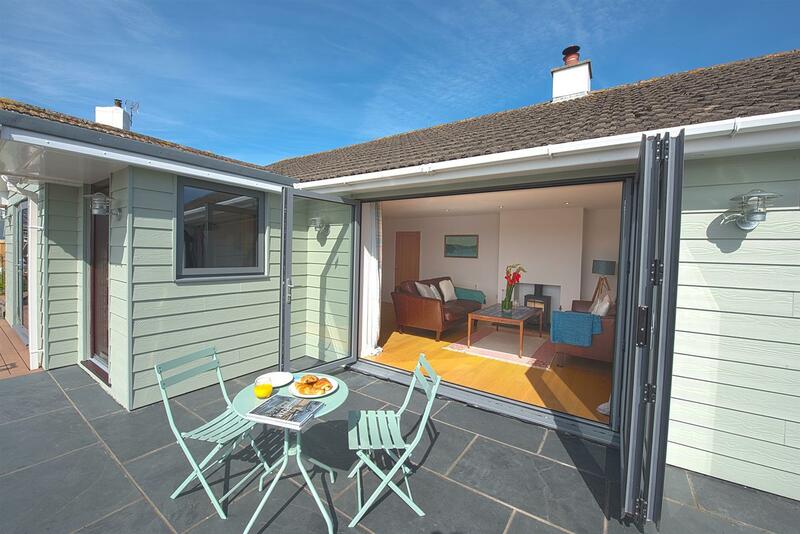 The garage also ensures there is always off street parking available. 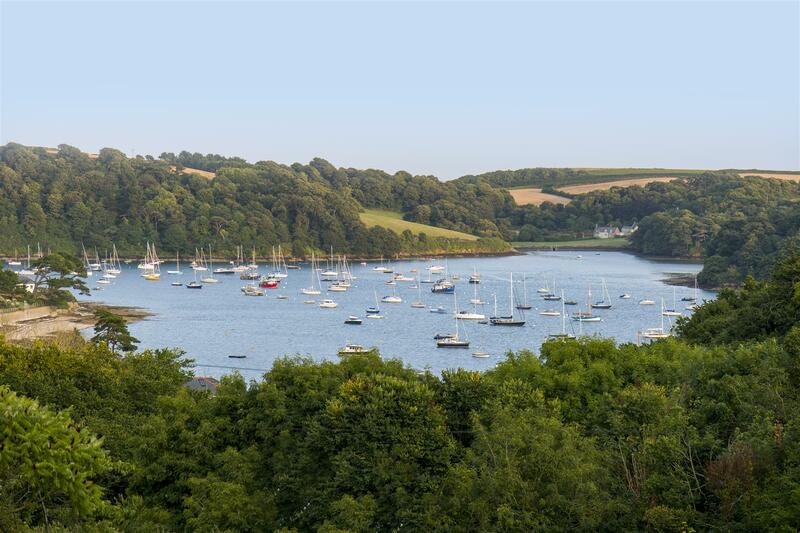 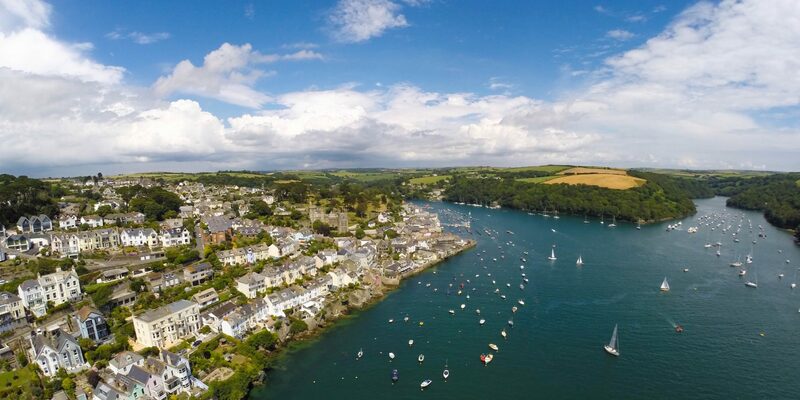 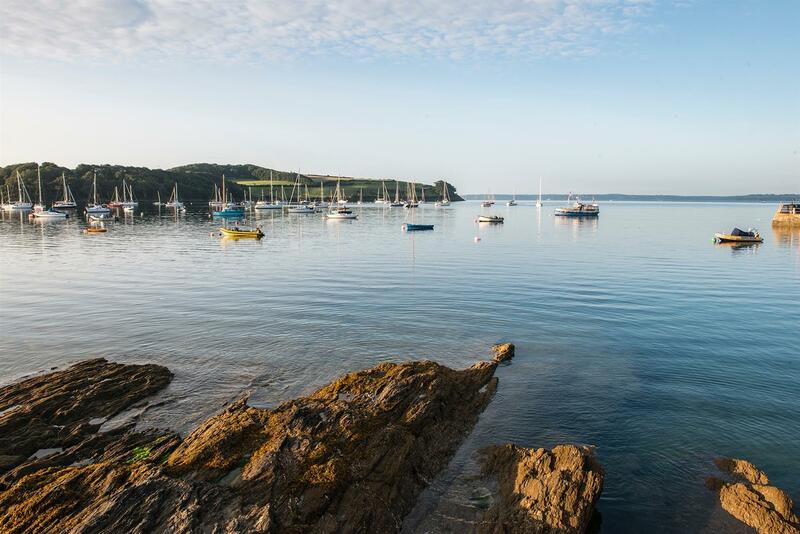 The picturesque and exclusive harbour side village of St Mawes is located on the eastern side of the Fal Estuary, at the southern end of the unspoilt Roseland Peninsula. 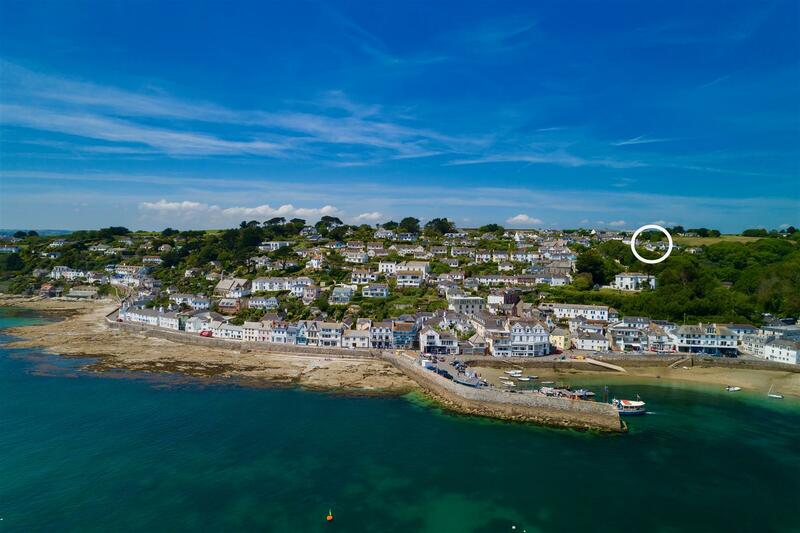 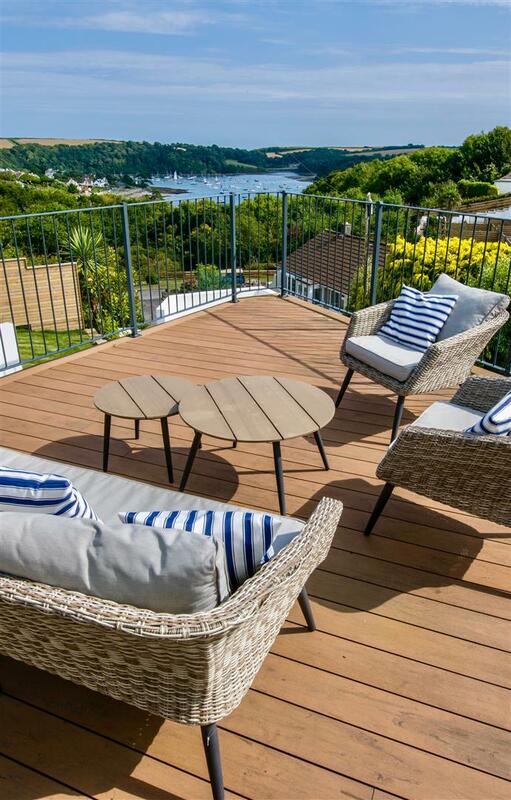 It has long been one of Cornwall’s most desirable destinations due to the privacy, facilities, peace and tranquillity of the village and its surroundings, which combine with its stunning coastal location to make St Mawes the perfect setting. 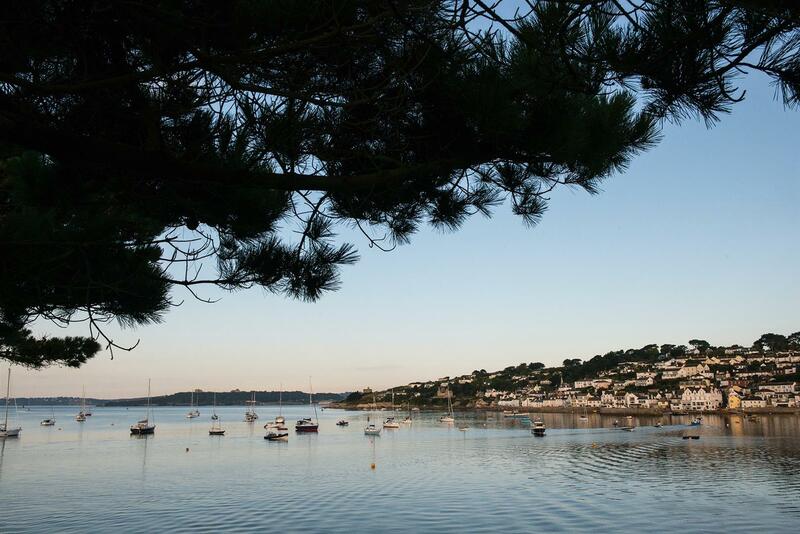 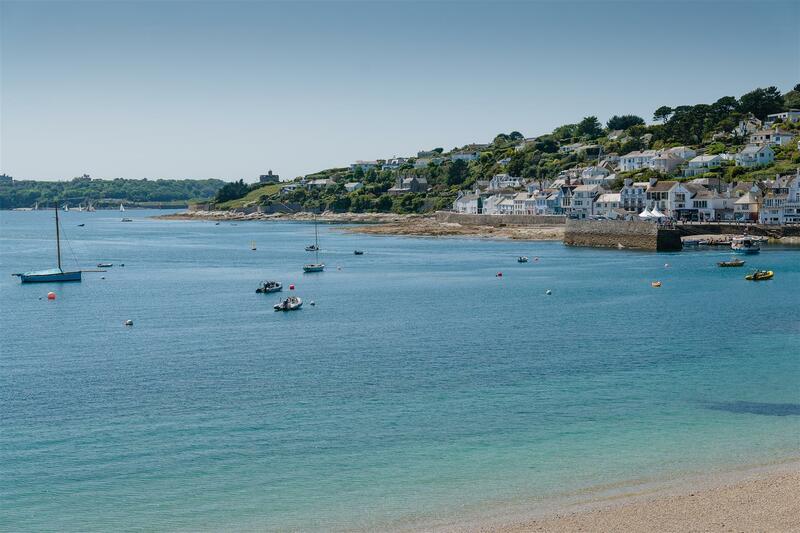 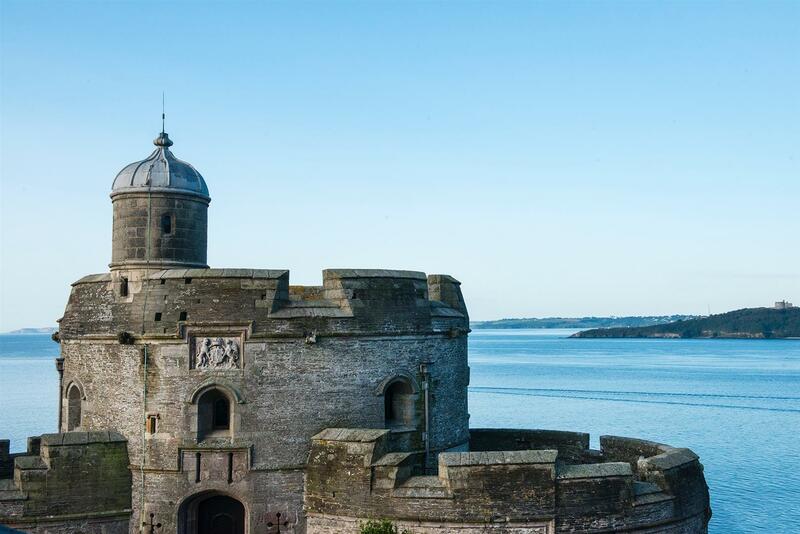 St Mawes has two beaches, Tavern Beach and the larger Summers Beach being a family favourite as the water here is unusually calm and clear, making it perfect for swimming and water sports. 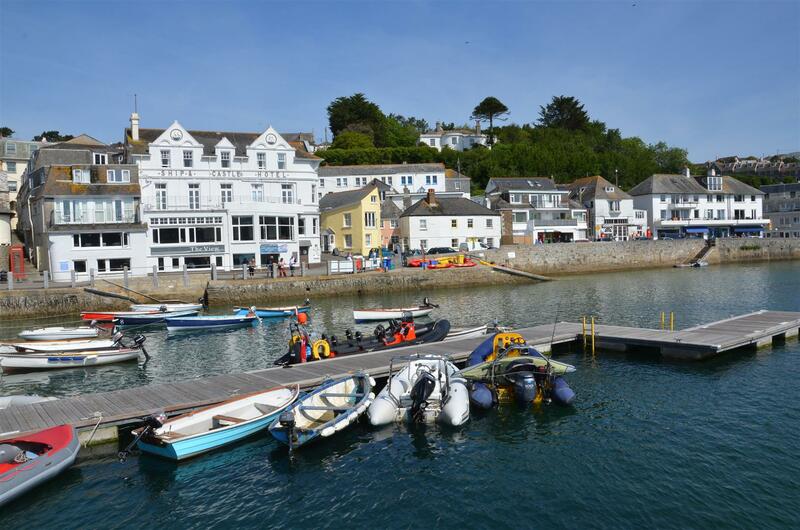 From the harbour there are regular passenger ferry crossings to and from Falmouth. 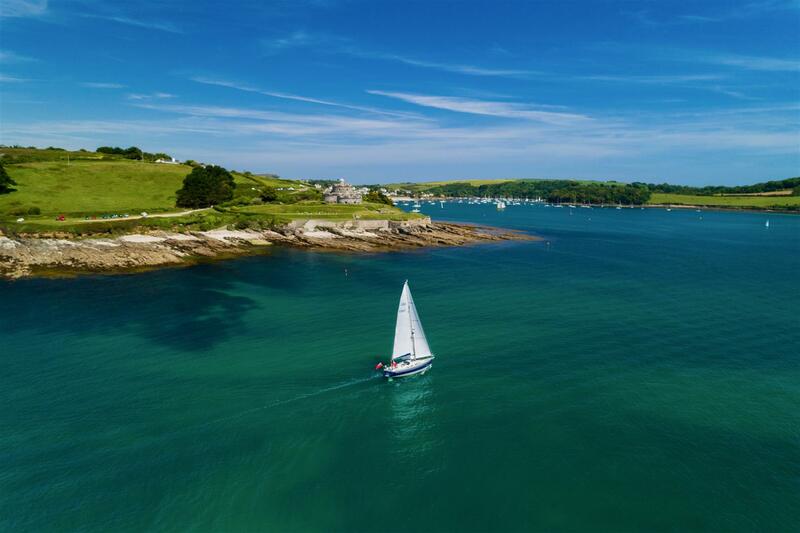 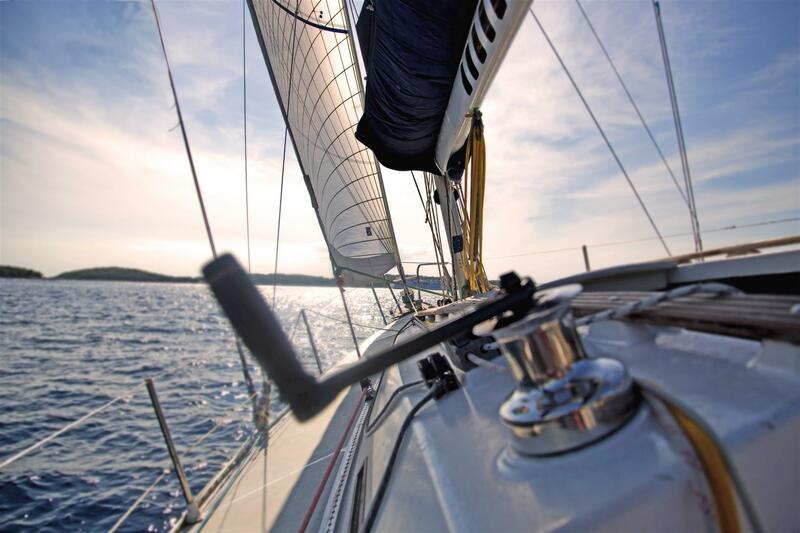 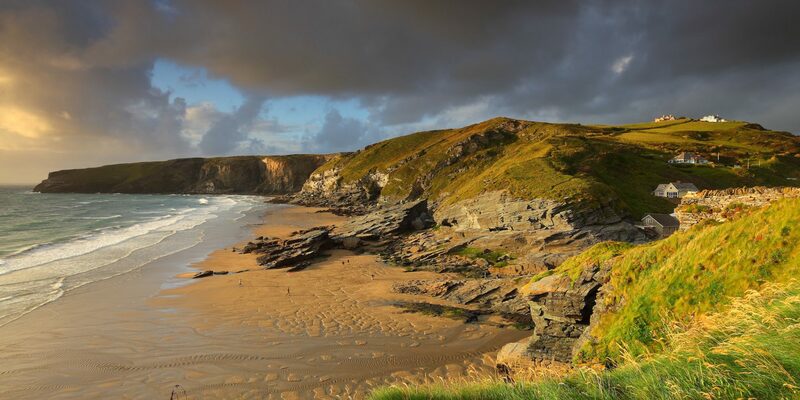 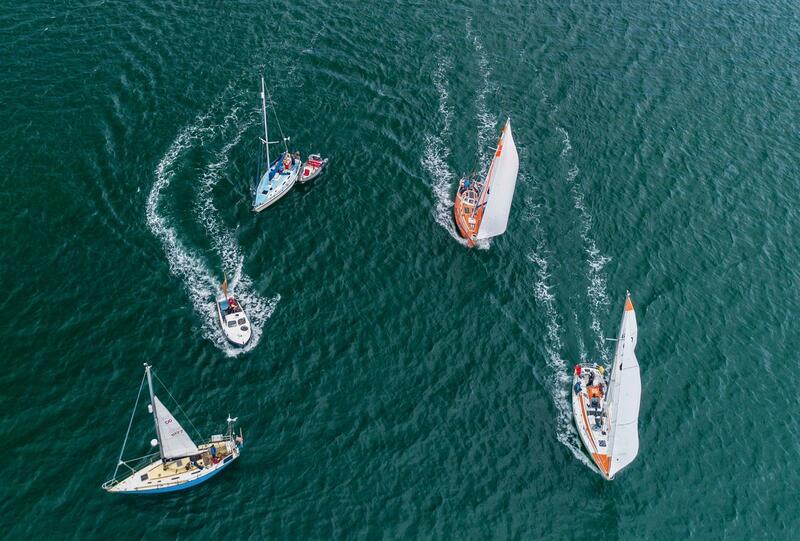 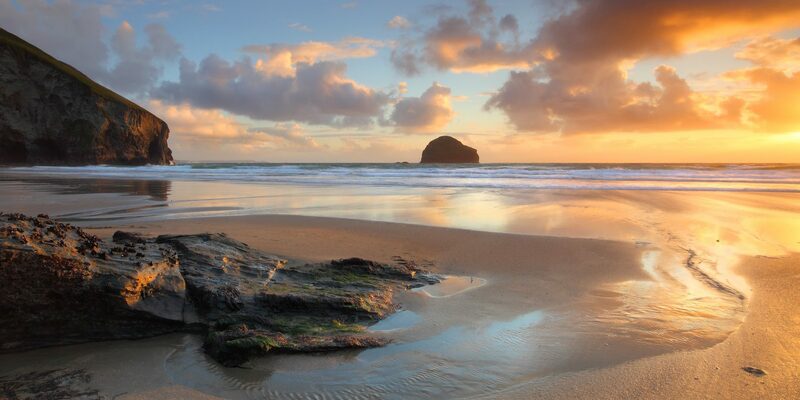 There is a vibrant sailing club offering excellent facilities and there is a wide ranging choice of restaurants, pubs and bars to cater for all tastes and budgets, with the renowned Tresanton Hotel and harbour front Idle Rocks Hotel.